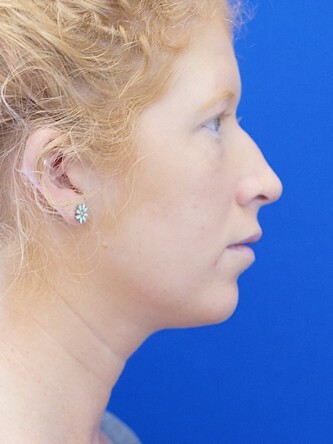 Using Voluma the nasal bump and supratip depression is camouflaged by filling the void; this is a form of liquid rhinoplasty. Restylane Silk is also used to augment the upper lip. The result is evident on the same day of injection.